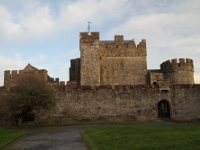 Tipperary is Ireland's largest inland county, situated in south part of irish midlands. Its diverse landscape is created by hills, mountains, plains and river valleys. 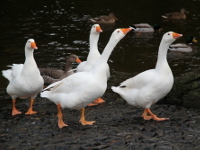 In the south, there are the mountain ranges of The Knockmealdown, the Galtee and Slievenamon, to the north of which extends fertile limestone plain of Golden Vale split by river Suir. In the north west, on the border with County Limerick, there are Silvermines Mountains and Loug Derg powered by river Shannon. 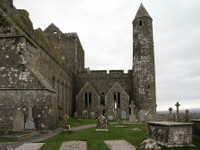 With no doubt, the most popular and interesting tourist attraction of County Tipperary is Rock of Cashel, complex of medieval buildings situated on the top of limestone hill, which includes best preserved romanesque church in Ireland. At the bottom of the hill, there is ruin of 13th century Cistercian monastery, Hore Abbey. 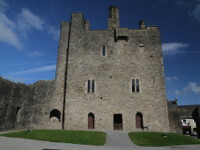 Just 20km south of Cashel, there is another site worth to visit, the Cahir Castle, well preserved 13th century Anglo-Norman stronghold situated at the bend of the river Suir. Tipperary got famous in the World War One song 'Its a long long way to Tipperary' and because of this fact, it is probably the best recognized county outside Ireland.